Rent a luxury car rental in Greece with Sixt for a premium car rental experience in a country of dramatic ancient ruins, endless coastlines and with a passionate culture and cuisine. Our fleet in Greece is made up of top car brands from leading manufacturers such as BMW, Audi, and Mercedes, bringing you exciting new designs and all the latest features. With its hot climate, epic beaches and incredible breadth of architecture, Greece lends itself to luxury car rental road trips where you can access awe-inspiring sights that are often off the beaten track. 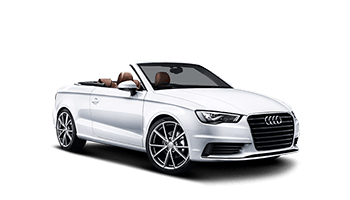 Cruise down the Aegean coastline in a top-down convertible, or hit rugged terrain with an SUV in luxurious comfort and style. For vacations in remarkable cities like Athens and Thessaloniki, our sports cars and convertibles are compact and responsive, while an SUV gives you and your passengers elevated views for sightseeing. Drive the top down and enjoy the warm Greek winds. Driving an exotic car rental in Greece is a thrilling experience, with scenic routes lining the coastlines, winding through sun-bleached villages and dropping down to sandy white beaches and the azure blue ocean. With luxury seating and premium features such as inbuilt infotainment, our luxury car rentals make for a relaxing drive. Many of our sports cars and convertibles also have back seats for extra passengers. With power steering and strong engines, our luxury car rentals in Greece are sporty and fast. Our vehicles are equipped with excellent safety features like extra airbags and rollover pop-up bars enabling you to feel confident while cruising. 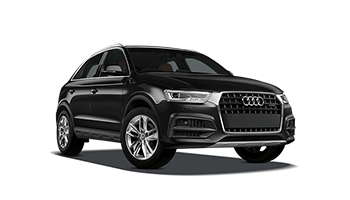 Renting a luxury car in Greece is simple with our online booking service and excellent customer service, offering you 24 / 7 support. Reserve online and you can customize your vehicle with our optional add-ons during the booking process. In Greece choose from extra protection options and practical mobility solutions such as additional drivers and GPS navigation systems, making your luxury car rental experience smoother and more convenient. You can also browse the best pick-up location for your vacation, and even drop your exotic car rental off in a different location by choosing our handy one-way rental option. Our flexible rental periods fit every kind of vacation, whether you’re doing an archeological tour of ancient sites in Athens, a week on the Aegean or a long distance road trip.